Posted on May 28, 2015 . 1 comment. Bangkok Comic Con 2015 At the beginning of May. 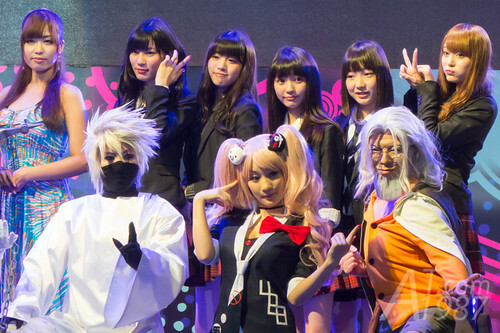 There are 2 big Japanese anime and idol events in Thailand. 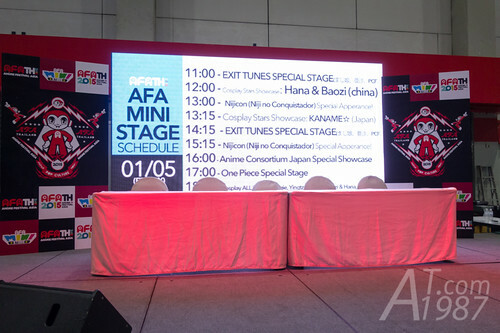 One is Kantana’s Thailand Comic Con and Anime Festival Asia Thailand 2015 that is co-organized with Bangkokg Comic Con 2015. Since I visited both events. Let’s see what happened. As I write above that 2 events happened on the same day. So I had to plan when and where I should go carefully. I went to TCC at Siam Paragon first to get the signature from Yumemiru Adolescence member. At the time I was in the event. The open ceremony had just finished and all guests were being taken group photos. 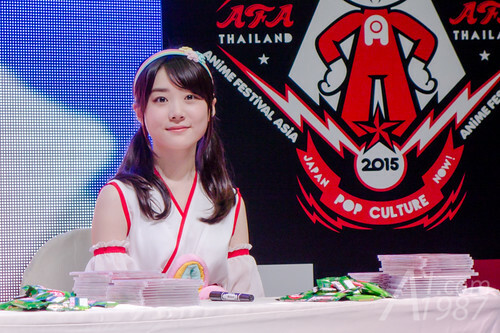 YumeAdo was going to have their signing session at the event photo panel. Before they came here. There was AKB48 cosplayer Natsumi and Hiko photo session. 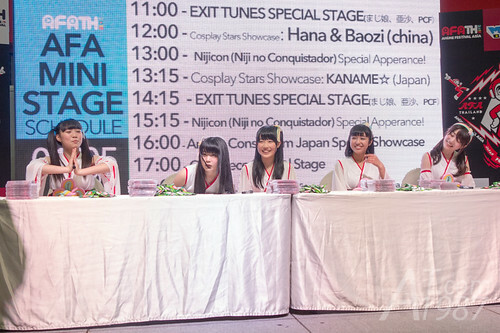 Thai idols group Sianese Kittenz also hold their signing session near the photo panel. You can choose a member who you want her to sign on your items. Up to 3 items can be signed. I went to Karin and congratulated her for YumeAdo major label debut. Then ask her to sign on Mawaru Sekai booklet. I thought she might think that I congratulated her for major debut but why I brought their indie single for signing. In fact I did ordered their latest single Bye Bye My Days for this event but it didn’t come to me on time. They came a day after. After I got Karin signature. I rushed to BITEC where AFATH was held. I missed Minase Inori session. She is the voice caster who have a minor role in Amachan. (She plays one of Ameyoko Jogakuen members.) However I went earlier enough to see Niji no Conquistador performance on main stage. I know Nijicon from idol news site but I didn’t pay much attention on them. My feeling before saw their performance is like Oh! pixiv also have the idols group and they are very cute. That’s all. After I saw their performance. I think they are very good. Their songs sound catchy for me too. After Nijicon finished their performance on Main Stage. They came down to Mini Stage for giving their single CD which is limited to 200 CDs and green tea flavour Kit Kat which They heard Thai people love it. Members rested from earlier performance while waiting for enter the stage. 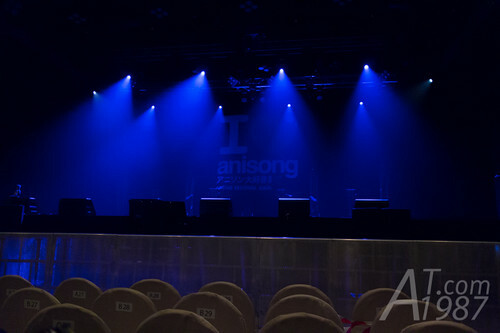 Members were on the stage. Began to give items. Then the Nijicon giveaway was begun.